Chelsea and Manchester United linked midfielder Ivan Rakitic wants to leave Barcelona at the end of the season, it has been claimed. The 30-year-old Croatian has been a cog in the seamless Barcelona wheel over the last few years and has been a hugely influential member of their squad. However, Barcelona have signed Frenkie de Jong from Ajax for next summer and are still interested in getting their hands on Paris Saint-Germain midfielder Adrien Rabiot on a free transfer. 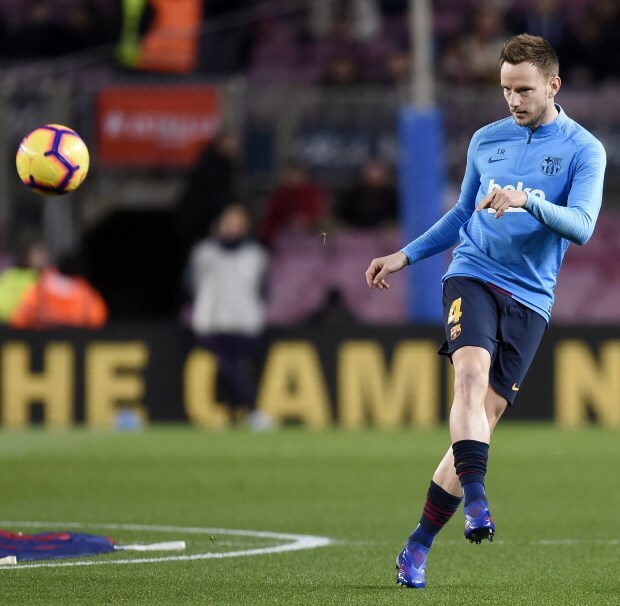 Rakitic is well aware that his place in the team could be under threat next season and the player is claimed to have taken a call on his future. According to Italian daily Gazzetta dello Sport, the midfielder has told Barcelona president Josep Bartomeu that he is keen to leave the Nou Camp next summer. The Croatian has been holding conversations with his agent and his representatives over the last few weeks over his future at Barcelona. They have come to an understanding that he needs to leave the club in the summer and start afresh at a new club. Manchester United, Chelsea and Arsenal are reportedly interested in him and Rakitic has also emerged as a top target for Inter.